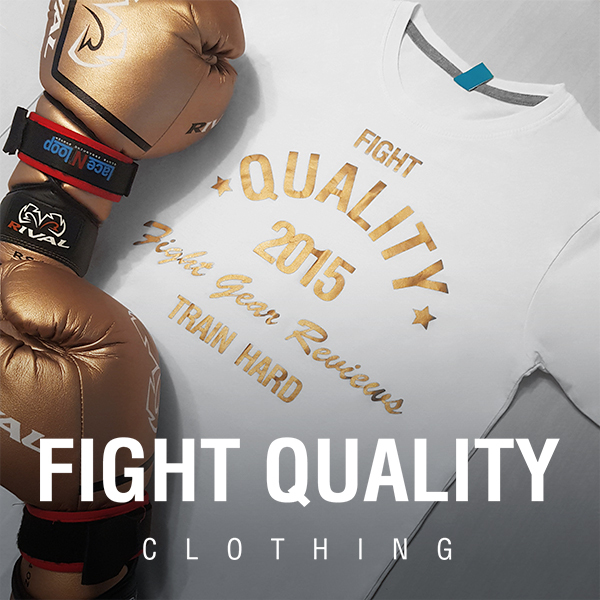 The following article was submitted to Fight Quality by infinitudefight.com. When it comes to boxing, a lot of people think it is a crude sport. The fact is, that could not be further from the truth. There is nothing crude in boxing if you truly get to know the sport. From the styles that beguile the audience to the techniques that take years of practice to master, boxing is as intricate a sport as it gets. It takes a lot of effort to bring together elements and components that lead to the enhancement of skill in boxing. One such element is the use of boxing equipment that suits your style of boxing and makes it easier for you to train. This brings us to the trend of purchasing customized boxing equipment. People who think buying customized boxing equipment is a waste of time are just as misguided as those who call boxing crude. Owning the right equipment is in fact one of the key factors that allow you to enhance your skill and become a better boxer. This is why it becomes so important to buy the best custom boxing equipment available in the market. Since it makes fighters feel confident and perform better if they fight with equipment made especially for them. The truth is custom boxing equipment is more than just style and pizzazz. We shall take a look at some of the reasons why fighters prefer custom made boxing equipment. By the end of this article, perhaps even the skeptic will see the appeal in purchasing custom boxing equipment. There must after all, be a reason why this trend has stuck around for so long. In fact, it has gained even more traction nowadays with fighters like Floyd “Money” Mayweather coming onto the scene and promoting their own brand of boxing. The fact of the matter is, having boxing equipment tailor made for you instills quite a bit of confidence in the fighter. When you have a specially made boxing glove enveloping your hand, you feel like you can punch through a wall. There are in fact, now numerous businesses that offer you the option to customize your boxing gloves. Online retailers such as Infinitude Fight offer the widest variety in customizing not just your boxing gloves but the whole set of equipment you use. The reason some fighters may be reluctant to order customized equipment online is the time it takes to deliver it. Yet, with trustworthy online retailers, the entire process does not take more than a week. So when you do get your own specialized custom made boxing equipment, you can fight with confidence. This is also the reason why almost every professional fighter has his or her own custom brand. Not only does it make for great viewing, it also instills them with the confidence to take on their opponent. And in a sport where fists settle the matter, feeling invincible can take you a long way. Having the right equipment to train with makes all the difference for some fighters. After all, training in a specialized facility with custom made equipment has got to yield better results than training in a dingy gym with busted up equipment. The better the equipment, the easier it will be for the trainer to get the most out of the fighter. The fighter himself will be motivated to give it his all with the right equipment by his side. This will inevitably lead to an increase in the performance level of the fighter. Anyone who knows anything about boxing will tell you how much difference having the right boxing glove makes. Now imagine wearing a generic 14 oz pair of boxing gloves that have been worn by hundreds before you. Will you be able to punch as effectively? Or will you feel more at home with a custom made boxing glove designed to fit your hand? Won’t there be a difference in the level of performance you can get out of that piece of equipment? Surely, there will be and that is why custom boxing equipment is about more than just style. Although, there is one more thing that custom boxing equipment achieves. Custom boxing equipment allows fighters to forge their long term brand. All the greats of the sport, from the great Muhammad Ali and Mike Tyson to as recently as Floyd Mayweather and Anthony Joshua have had their own distinct brand.They were able to achieve this through customized boxing equipment that made an imprint on the audience. It allowed them to associate themselves with a particular set of sentiments and feelings which makes their legacy immortal. So if you are looking to make a long term impact on boxing, you might want to start using customized boxing equipment. This article was submitted to Fight Quality by infinitudefight.com.